A tweet sent out today from the BlackBerry Security Incident Response Team (SIRT), indicates that the manufacturer has started rolling out the June security update for Android powered BlackBerry models that were purchased from the Shop BlackBerry website. Handsets bought from carriers or retailers will have to follow the update schedule conducted by those phone sellers. With BlackBerry focused on promoting its Android handsets as the most secure to employ the operating system, the company has made a strong effort to keep its security updates up-to-date. The phones receiving the update include the BlackBerry Priv, BlackBerry DTEK50, BlackBerry DTEK60 and the recently released BlackBerry KEYone. After the update is installed on your phone, the security patch level will read June 5th, 2017. You can double check to make sure that the new security patch has been loaded onto your 'Berry by going to Settings> About Phone. Receiving timely security updates is a good reason why you might want to consider buying your next BlackBerry directly from the company. 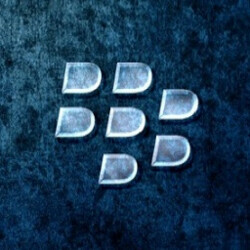 You can check out the Shop BlackBerry website by clicking on this link. Great to see that BlackBerry is pushing out the security patches at the same rate as Google is with its branded devices. While OS updates are great, the quick monthly security patches are better, imo, as they keep your device safe, secure, and functioning smoothly. I also have to add that it's not just BlackBerry devices purchased straight from shop.blackberry or Amazon.com that's getting them first, as my unlocked AT&T branded BlackBerry PRIV has received it as well. Got it earlier today. Oh yeah sure, if you consider Google Assistant to just be a layout change. Don't downplay updates just because BlackBerry is lagging far behind with Nougat. Don't downplay the importance of security updates just because most other OEM's are lagging behind on them. You should read my comments in this article, as well as Subie's. That opinion was already shut down. Don't pick fights you can't win. After you, ma'am. Ladies first. I was always taught that ladies go first. Even the ugly ones like you. Then lead the way, b****. After you, dckrider. I insist. BlackBerry phones with Marshmallow also have extra layers of security provided by BlackBerry that keep their handsets as secure as handsets running Nougat. Someone as uneducated as you would say that. Clearly the education system has done nothing for you. Lol, that's what the teachers told your parents about you. "No You." Pretty much what you meant, alphageek. Pot, meet kettle. Pretty much applies to you, mxyzptlk. Yup, I was actually surprised to get the update on time today, looks like everything's back on schedule! It was awesome to see my AT&T branded unlocked PRIV get the security update at the same time that my GSM unlocked one got it. Blackberry has been nothing short of impressive with their dedication to quickly pushing monthly security updates to their phones. I commend BlackBerry for keeping security updates going, but I don't see anything about Nougat coming for the devices that don't have it. I can probably assume, reasonably of course, that Nougat won't be coming any time soon. And before you cry because I'm singling out blackberry, I'm not. It's not fair as a consumer to be out of the loop when it comes to Android updates. Actually, you are singling BlackBerry out, as you have yet to mention the same about other Android OEM's that haven't updated their eligible handsets, but you sure do cry about it on every BlackBerry article that talks about security updates, mxyzptlk. But don't let the fact that you keep crying and singling BlackBerry out with your hate even though you've never used a BlackBerry Android handset (and never will) interrupt a good story. Carry on. Stop being a fanboy for once in your life, Jesus. Nougat is a substantial security improvement over Marshmallow. They're missing crucial security features like mediaserver split/sandboxing. The fact that my Axon 7 has 7.1.1 and the DTEK60 with similar specs is stuck on Nougat lets me now where Blackberries priorities are. Any phone with Nougat and a 2017 security patch is "safer" than Blackberries (aside from KeyOne).